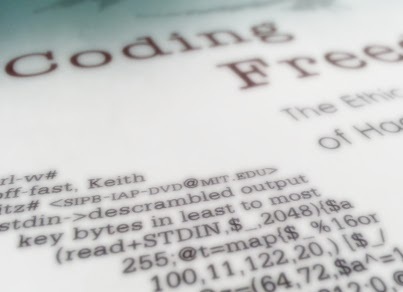 In the spirit of the movement it describes, I am “open sourcing” my reading notes on Gabriella Coleman’s excellent book Coding Freedom, an anthropological study of the Debian community and the wider software ecosystem in which it operates. I’ll also leave the Google Docs version open for anyone in case anyone might find it useful. You can read the book itself here, in PDF format. Coleman generously released it under Creative Commons licence BY-NC-ND, but those who can afford to should consider thanking her by buying it! Hackers’ collective commitment to “productive freedom” exposes a faultline between liberal jurisprudence (which protects the fruits of labour) and free speech (which protects the sharing of ideas). Hackers reinvent liberal ideas, and critique neoliberal trends. Is code speech? Humour saturates the social world of hacking. Hackers vs Crackers: Community claims that “hacker” identity was appropriated by media & redefined, much to chagrin of original hackers. But is this a whitewash? There is a fine line between craft & craftiness, both require same skills. Mid 80s fear of “death” of hacking, or that computing had lost its soul, was actually followed by a renaissance defined by hackers’ assertion of control over means of production (software). But as free software matured into a “global technology movement”, IP provisions were globalized. Actually, FLOSS projects became household names, and their message travelled with them. Hackers ready to pounce on perceived idiocy, but also dole out recognition — an essential part of the meritocratic order. Debian grew from charismatic leadership with informal structures to an institution with membership criteria, defined rules, a complicated voting protocol. guardianships: strong pressure to let incumbents stay if they are doing the work and want to remain. Developers prefer meritocracy (to democracy) but the system is still shrouded in distrust at its corruptibility, with jokes of the “the cabal”, sometimes playful, sometimes accusational. also produce their own texts on the subject! F2F encounter essential, both in practical terms and for the sake of building trust. FLOSS spread helped by its political agnosticism. Seth Schoen poem: transcoded software which could be used to circumvent access controls on DVDs. FLOSS devs are very active producers of legal knowledge. Programming and law-hacking….both require mental disposition for analysing a formal, rule-based system. Coleman regularly saw cynicism aimed at the law, but never cynicism at having to learn the law. FLOSS caused technological objects to be imbued with a new liberal meaning. Source code as a literary creation lends itself towards copyright, but new free speech sensibilities confronted that assumption. Success of FLOSS reconfiguration was partly due to community’s ease of using (and hacking) the law. FLOSS production contributed to the reconfiguration of IP law, and went on to be a catalyst for broader political and economic transformation. Its power was not in its language or political vision, but in its existence as a living counterexample. Using Latour’s words, FLOSS production served as a “theater of proof” that economic incentives were not necessary to secure creative output. This transformation has since extended to art, academia, media, and wider economic production. FLOSS has [arguably] avoided Left-Right polarization, and remains politically agnostic. Thus they even renounce the ability to promote their own politics. There is an implicit nod to old-school liberalism: the belief that free expression will lead to robust debate and eventually the emergence of self-evident truths. IBM — especially with its crass “Peace, Love, Linux” campaign, which touted consumerist notions of personal empowerment. Open Knowledge movements and theories, including Creative Commons (Lessig) and Public Knowledge (Bollier). Also advancing push for “peer to peer production” Benkler 2006. FLOSS forces a politics of defamiliarization, its presence and success have induced a cultural shock. Can FLOSS really make a claim of political agnosticism? Code as a number, code as speech, code as literature, code as commodity? Hey thanks for your notes! Very interesting for me to read. Do you think you can link to this version of the pdf? http://gabriellacoleman.org/Coleman-Coding-Freedom.pdf It helps me track numbers of downloads! Thank you, glad you liked them! Link fixed.